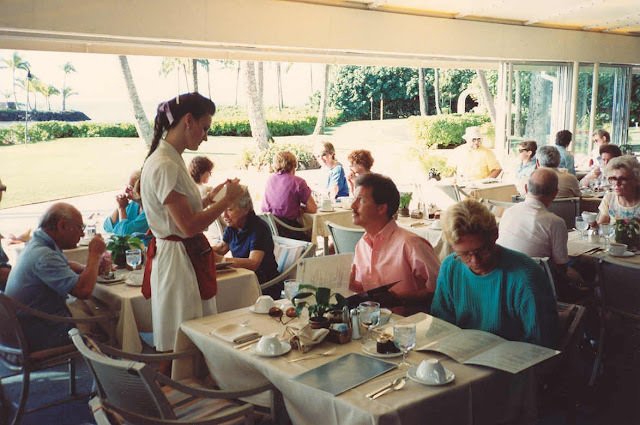 When it comes to restaurants, cleanliness demands a wide spectrum. For every uber clean establishment where workers prepare food equipped with gloved hands there's another place of business where hands of varying levels of unwashed operate the kitchen gadgets. It’s shocking, really, the drastic variance within the industry. The hygiene problem is extensive enough to have popularised a certain genre of television program featuring angry restaurant experts reacting to (i.e. yelling) poor management, negligent wait staff and various states of unclean. It’s easy to forget that people preparing food don’t usually conform to the rigorous level of hygiene that we'd like to imagine they do. There are, in fact, some food safety risks that are regular happenstance in restaurants. Seen as a refreshing accompaniment to water and tea, lemon wedges go hand-in-hand with eating out. The problem arises with freshness. How long ago do you imagine that those wedges were cut? 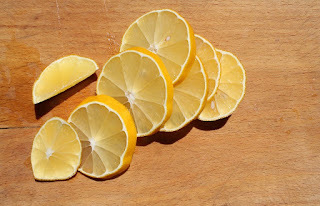 Oftentimes, for the sake of preparation, lemon wedges are cut long before they’re served, potentially sitting for days before being plopped into your glass of water. Due to the frequency of use, a bucket of lemon wedges will sit at room temperature during open hours inviting a bevy of nasty germs to cohabitate their bucket. For the ever-flurrying server, a proper hand washing may only bookend shifts. Considering just how hectic the job can be, this is somewhat understandable … but that stops when hands that have touched money, dirty plates, pens, broom handles and cleaning rags are involved with your food. Flipping excitedly through the menu searching for the dish that stands out, we are wont to forget that menus play host to the accumulated germs of every last person who has perused their pages. If you’re planning to use your hands to eat, or if you are a clean person by nature, wash your hands after handling the menu. Most restaurants don’t deign to clean the invisible filth off of their menus for months at a time, maybe even years in the right setting, such as a rustic pub. Another somehow unexpected bit of news to people: tables that have been wiped down are not necessarily clean. How often do you think cleaning rags are wrung out? I’ll answer that with confidence: not often enough. Caught in the midst of the lunchtime rush, the last thing on a server’s mind is replenishing cleaning liquid or changing out a rag that has been in use since opening. Just think, that rag has been used on each and every table sullied by everyone from messy children to the over-65 crowd, picking up snot, drool, grubby fingerprints and despair in equal measure. Everyone’s familiar with the concept of refilling – condiment bottles are routinely topped up as are salt and pepper shakers. Topping up doesn’t mean washing out by any means. 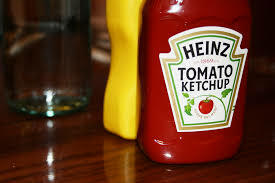 If you’re the unhappy receptor of a ketchup bottle with a congealed, hard coating of what looks like ketchup at the bottom, ask your waiter for a new bottle. Chances are that unappetising bottom coating has been there for a while. Oh, and, as has been the recurring theme in this article, bear in mind that that the exterior of the bottle probably hasn’t been disinfected in a while.